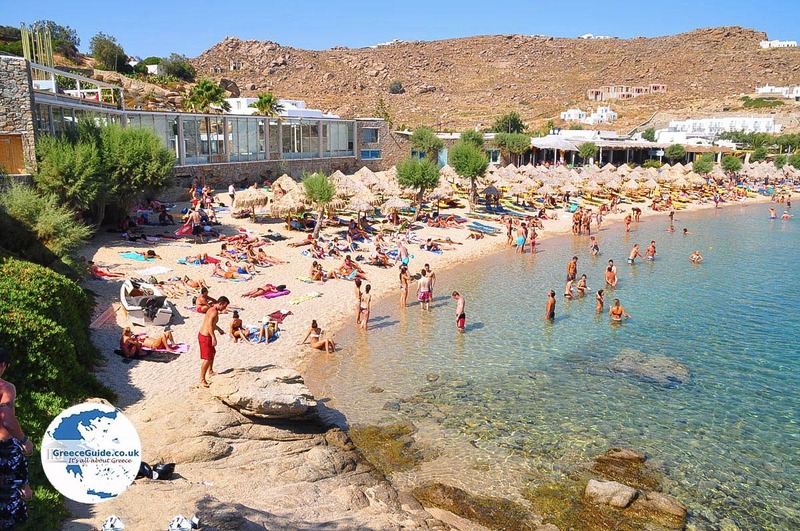 Paradise Beach Mykonos. 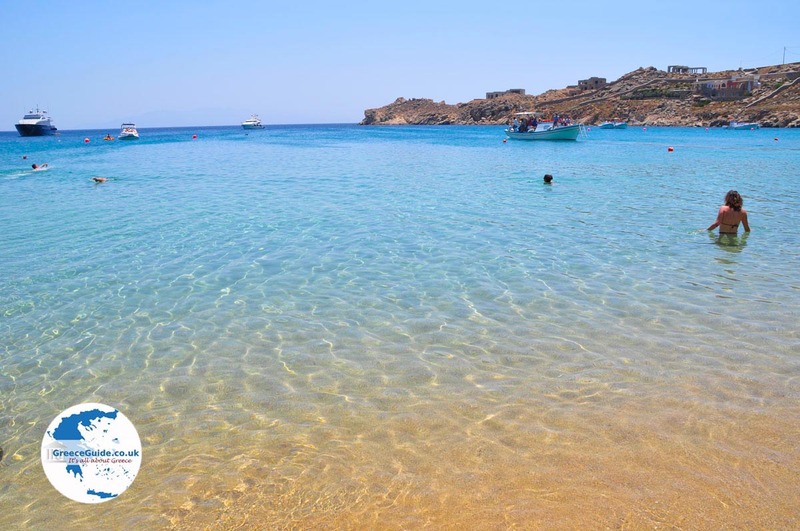 Paradise Beach is one of the many famous beaches of the Greek island of Mykonos, and is located six kilometers (less than 4 mi) southeast of Chora (Mykonos Town). 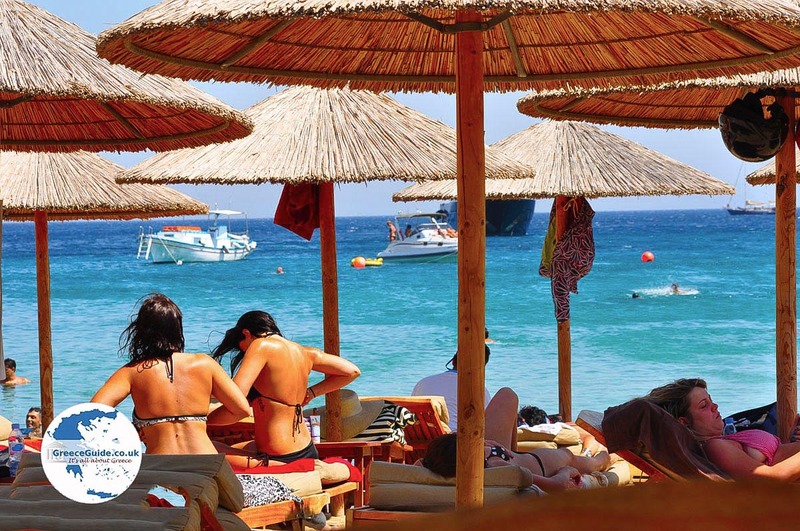 It is a beautiful sandy beach with the famous Paradise Beach club where dancing begins in the afternoon. Famous DJs play music almost every day and in high season it is very crowded. There is a restaurant and a snack bar, and behind the beach is Paradise Beach Camping and hotel. Also, there are mobile homes for rent on the beach and you can make use of umbrellas and sunbeds. Paradise beach is located in a small bay, shielded from the wind. You will also see many yachts afloat in the bay. Try to spot famous people. Many like to come here. On the slopes of the surrounding hills are several rooms for rent. 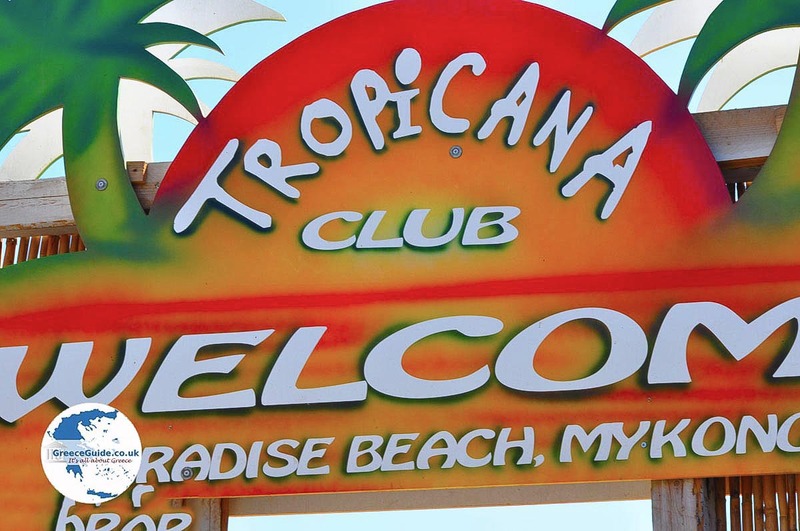 Behind the Paradise Beach Club is a spacious parking lot, where you can park for free. 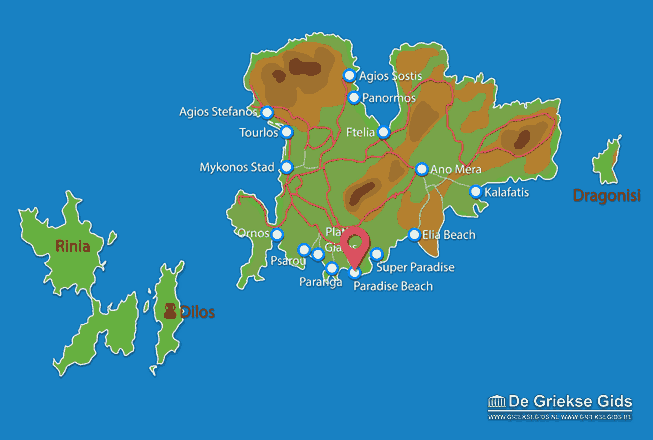 Mykonos: Where on the map is Paradise Beach located?